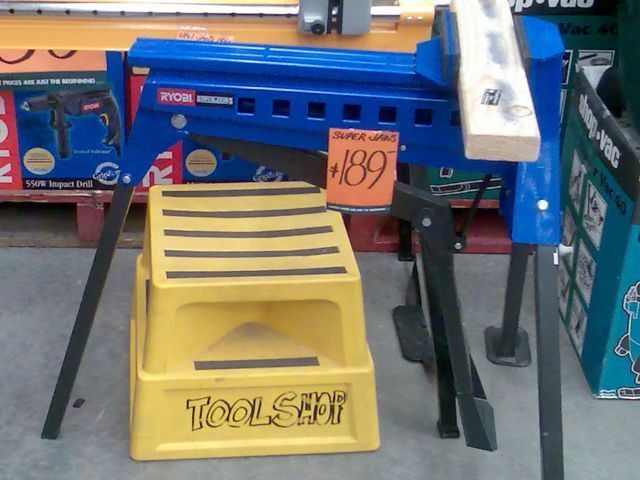 For those of us who started our woodworking aspiring to own some of the magnificent looking orange machines we had seen on display, and on demonstration at the local Bunnings, this name would be very familiar. 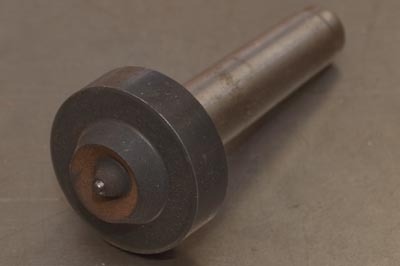 To those less certain, George Lewin has been one of the most influential people in Australia, let alone the planet in getting people’s foot in the door of woodworking, having been the inventor of the Triton Workbench, and what became the Triton system. My big foray into woodworking was based entirely on the Triton brand, and as my workshop grew, it became more and more Triton orange. 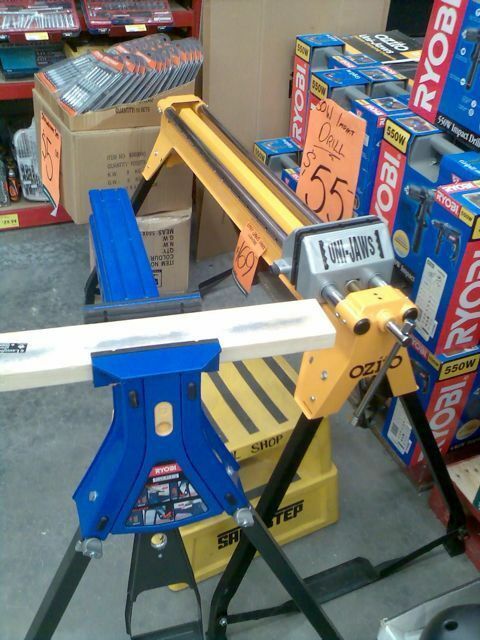 I took to demonstrating Triton in Bunnings, Mitre 10 on occasional weekends, and at wood shows, and was president of a Triton Woodworking club at Holmesglen (as well as creating their website, which became the largest Triton-based woodworking website in the world). So it came as a complete surprise the other day when I had an email from the legend himself, saying nice things about Stu’s Shed, and asking about his beloved Triton. George has kindly agreed to give us some background, of what he (and Triton) did back in the day, and also where he is and what he is up to today. 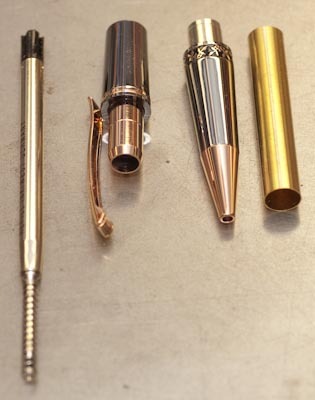 Please note, these will be in installments as George has time to write them. 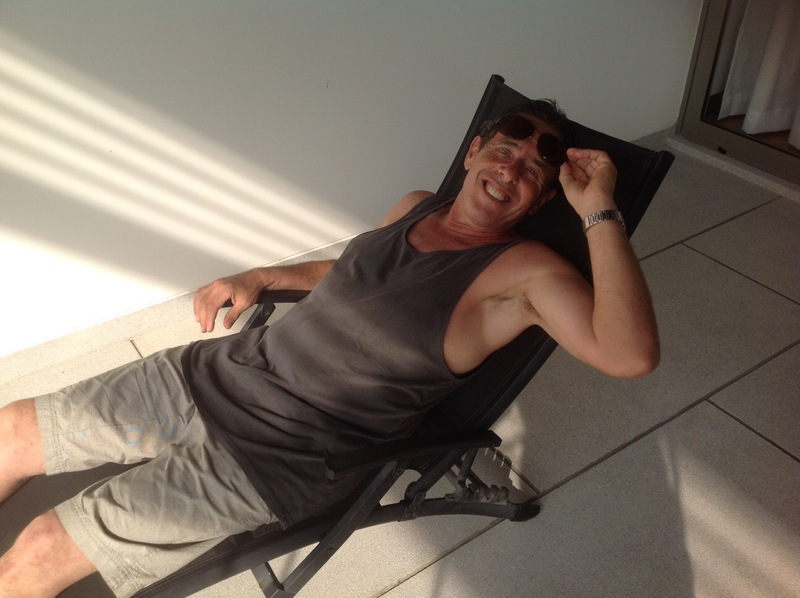 George at 66, looking relaxed and kickin’ back in Thailand. UPDATE: The article has now been relocated and extended, so check out the new, complete article here. The (ex) Triton Engineers have done it again! To be fair, I don’t know that for certain, but I strongly suspect it, and can see their design philosophy in this new, or rather reworked, product. 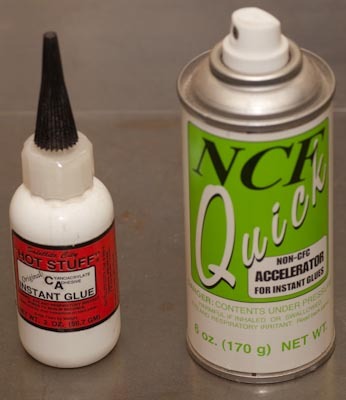 I always had about 4 of these “hanging” around. 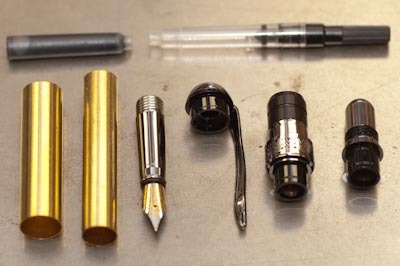 This became version 2.1 when its manufacturing was sent offshore to China. No real change, but it picked up some black boots on each foot. This version is still current and in store at places like Carbatec, Amazon etc. You can understand why I strongly suspect their involvement in the JawStand. 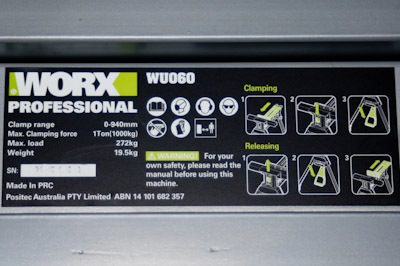 To clarify a point, overseas, Rockwell is the premiere brand for the company, whereas in Australia you are looking for Worx Pro. 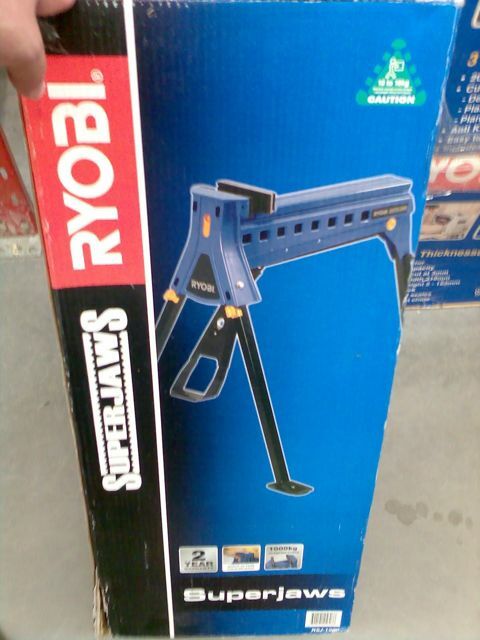 Given what they have done to the SuperJaws, and now the Multistand, I wonder if they will ever turn their attention to the Workcentre or Router Table? Sadly, I doubt it, but wouldn’t it be cool? How about a reworked extension table designed as an aftermarket product for cabinet saws? Got home today to find a rather unexpected, but very welcome parcel sitting on the doorstep…. 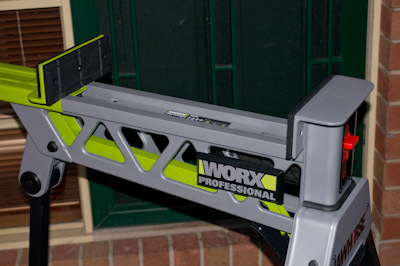 The Worx Professional Jawhorse, in a rather cool grey and green. (It did arrive in a box, just decided to take the photos on the porch). An awesome tool, and I’d expect this means now down under! What many have been hanging out for eh?! 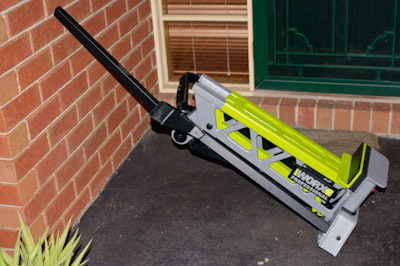 It is in the Pro Green, so worth looking out for that rather than the orange colour scheme of the standard Worx range (and the Aussie-branded Rockwell). This unit is the same as the US Rockwell Jawhorse that I’ve spoken about on here in the past. Has a stylish look, especially the colour scheme, but this is fundamentally a workhorse of the workshop. Versatile, very stable, yet very portable and can be folded up for storage talking up a very small shop footprint. The label says it all. 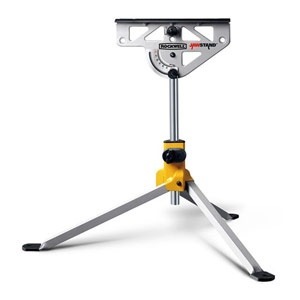 Near 20kg in weight, it can clamp up to 940mm, and with a tonne of clamping force (1000kg, not the 1 Ton stated on the label! ), and can support up to 272kg of weight. It has a good jaw opening in the normal rear jaw orientation. 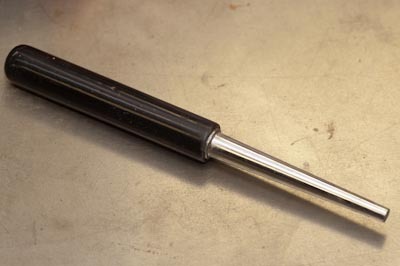 For increased range (without some of the optional jaws that may not be available in Australia), the jaw is reversed, giving the maximum 940mm range. 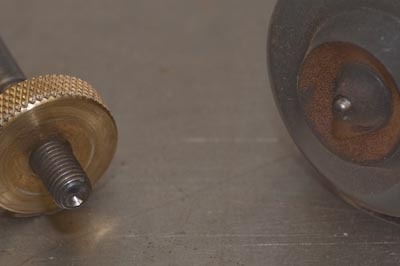 The back of the rear jaw is made from the same urethane, so it is rigid, yet with some degree of give which prevents marking of the clamped object. At the front of the Jawhorse below the label, there is a wide wheel. 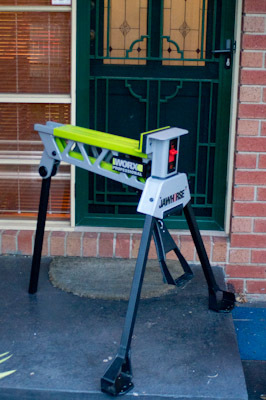 It is useful for moving the Jawhorse over a distance if you don’t want to carry it’s 20kg bulk. The rear leg can be extended out to be a sort of handle, for pushing or pulling the Jawhorse around. 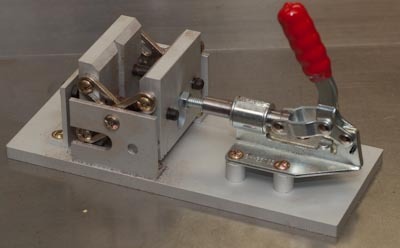 The clamping operation is done via the footpedal. The 100kg (max) force that you exert on the pedal is multiplied 10 times by the mechanism to produce the 1000kg clamp force. 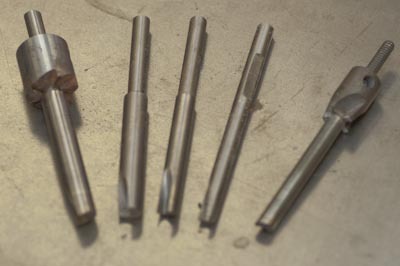 To move the jaw over a range, there is a toothed end to the bar connected to the pedal which engages the bottom of the moveable jaw, indexing it along. 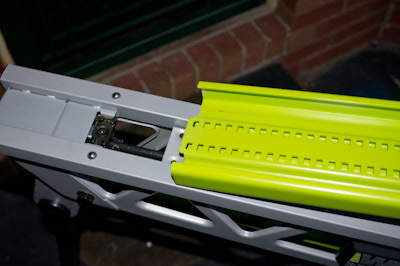 The jaw can be slid when the pedal is not engaged, and twin spring loaded bearings maintain a constant pressure on the underside of the moveable jaw track. The innocuous, yet powerful teeth which transfers the 1 tonne force into the jaws. 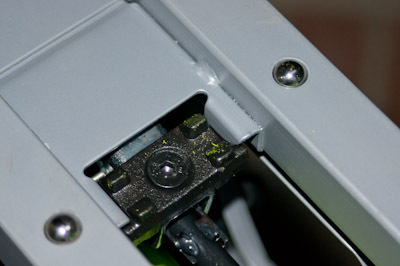 The jaw pressure is maintained while force is applied to the foot pedal. 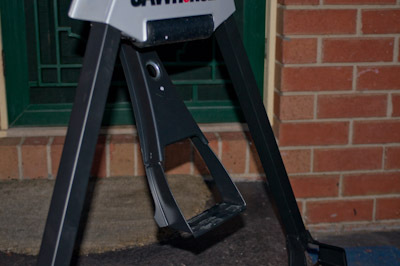 The Jawhorse can be used in that mode, acting as a horizontal press, or by flicking the ‘switch’ to the lock position, the foot pedal is maintained at the maximum pressure that was achieved. 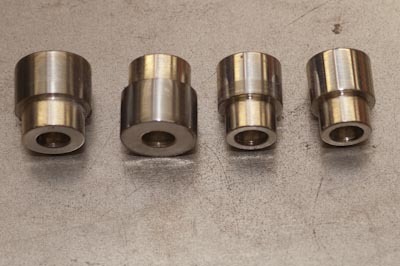 The switch can be engaged once the desired pressure is achieved, or can be flicked on before that final stroke leaving both hands free to support the workpiece. 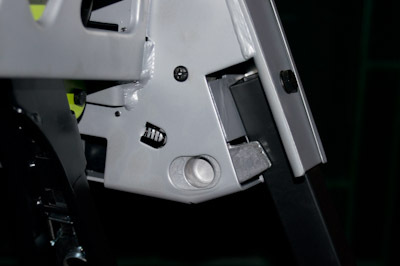 When opening the unit up from its storage orientation, the front legs have a tidy spring-loaded latch concealed behind the leg. This is a rather neat solution for maintaining the legs in the open position. The front legs angle outwards sideways, but are still pretty close to remaining in the same vertical plane as the front jaws, allowing the top working surface to be used as an anvil. 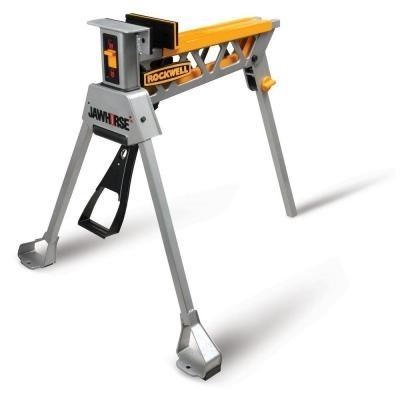 With the wide front legs and the single back leg, the unit is both stable on uneven surfaces, but has a large footprint making it stable when supporting large, heavy objects. 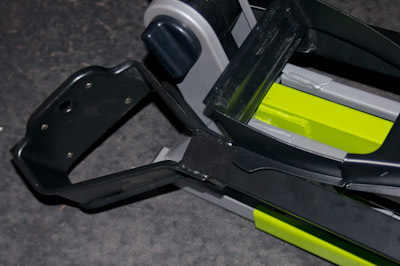 With the unit upside down, and the front legs folded down, the footpedal folds back, trapping the legs in position. The rear leg then folds over, and engages into a slot in the front-rear of the Jawhorse, trapping the legs and footpedal in position. It then becomes a handy handle for lugging the unit around. 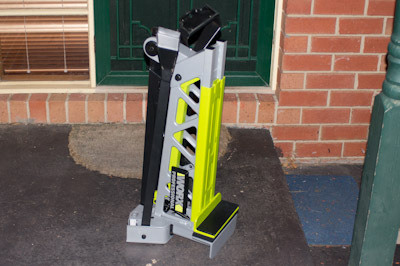 When the unit is not in use, it can be folded up and stored on-end to minimise the unit’s footprint. 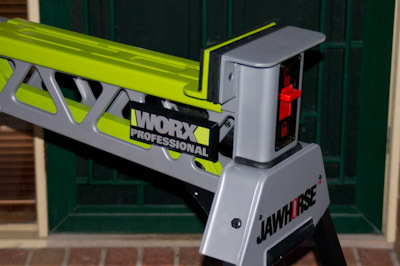 So that is the mean, green Worx Professional Jawhorse. If you haven’t seen or read about me talking on it before, you may wonder how such a beast can exist, being so similar to the Triton Superjaws. 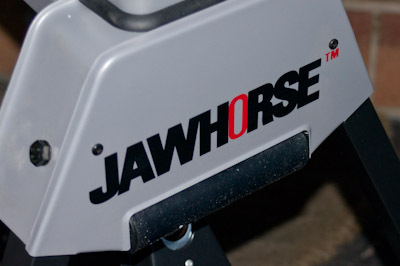 A large number of factors, including the now defunct GMC not maintaining the Superjaws patent, along with them not retaining the Triton engineering staff, meant that when this staff went to work for Positec (the parent company of Worx and Rockwell), they were able to produce the ultimate Superjaws – the Jawhorse. Just before deciding to waste an afternoon getting a finger tended to, I had been trying the new Husqvarna out slicing up a bit of firewood (gathered from the side of the road years ago). 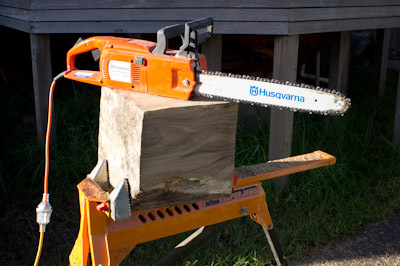 Chainsaw went very well – slicing easily through what now looks like to be spotted gum. Instead of destined for the fireplace, I guess this cube is now going to become something a bit more interesting. No idea what yet. That’s the problem with being a woodworker – even something destined for the fireplace gets assessed whether it is better diverted to the shed! The clamp I am using here is one of the original (Australian made!!) Superjaws. 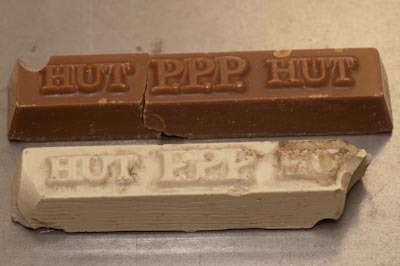 It has the upgraded (newer) version of the log jaws that bite strongly into the log, and where there is a heavy, soft bark, these jaws bite right through. 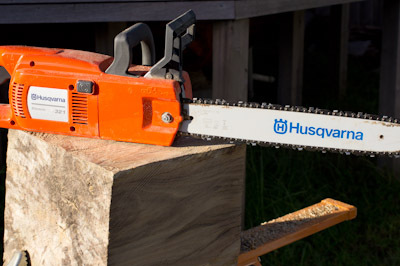 An excellent tool to take to the job site where you need to make the job of chopping up firewood a lot safer (that is just one of the jobs I use the SJ for). I’m quite pleased with the Husky as well – about as powerful as you can get on a 10A supply, and although you can get larger petrol chainsaws with more power, longer bars, this one did the job. Perhaps needing a bit more time to complete a cut required (although to get more power in a petrol model would cost a lot more), but for a home user- an excellent tool. 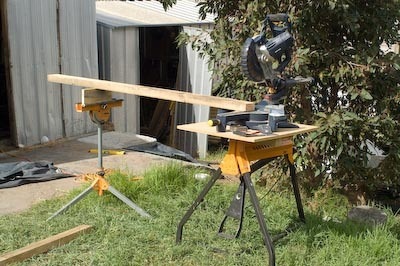 There is a definite advantage to the convenience of an electric saw, especially in the shed. Not having to get the engine running, dealing with fumes etc. Just another look at those jaws. 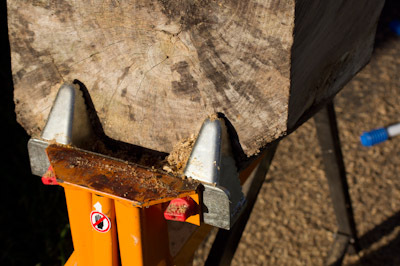 The rear jaw is singular, so the timber/log is held in a triangular pinch – no point trying to use jaws with 4 points – ever seen a log with truly parallel sides? 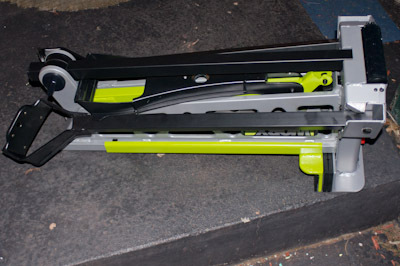 I did set the saw into the Torque Workcentre slabbing attachment this weekend, but didn’t get any results to write about. Will have to do some more experiments to work out how to get the best out of the attachment. 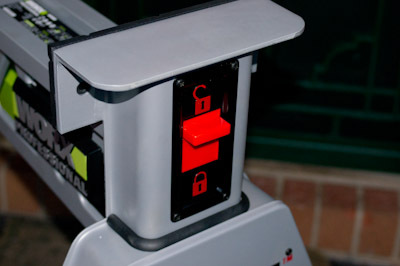 It clamps the chain bar well – certainly feels like a secure arrangement, but couldn’t seem to get the saw to cut. I know it works well when freehand – especially given what it did to the spotted gum (where I tried both rips and crosscuts), so some more testing needed. It could be I didn’t have the blade parallel to the table, or the test piece I decided to use was too green/gummy or something. I’m tending to wonder about the parallelism because about 1/2 way through the cut I was seeing an increasing wavy surface – indicative of a blade trying to cut in one direction, and forced to cut in another, but I didn’t have time to pursue this further. A winner in (Telecom) Gold, what is it in Ryobi Blue? Thanks to Sparhawk for the pics- can’t believe how wrong the SuperJaws looks in blue, and particularly how irksome seeing the traditional Superjaws logo on a non Triton branded box. 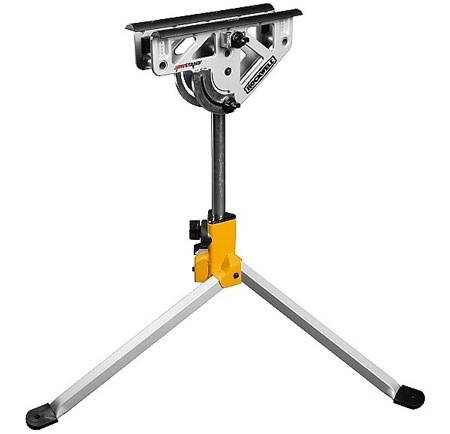 Bet Ryobi, and Bunnings are laughing long and hard at Triton & GMC, finally scoring the best tool Triton ever produced (although I’m not a big fan of the Chinese manufactured version). 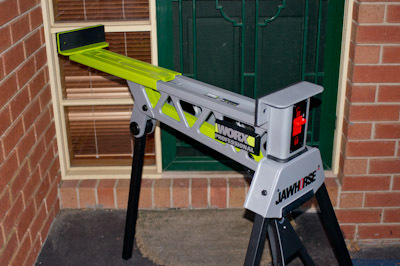 It is interesting reading some American user reviews and opinions of the JawHorse- some really don’t “get it”. 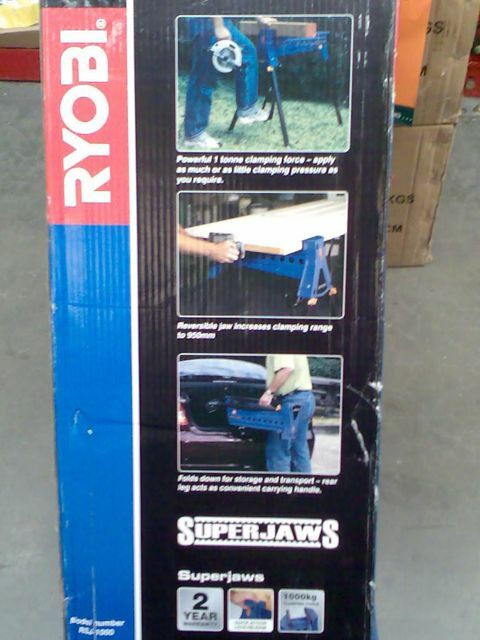 At least one went on and on how unstable a 3 legged one would be- how much more stable a 4 leg one would be (I still think they are under the misconception that a Superjaws or Jawhorse is some form of sawhorse). Wonder if the original Aussie Triton will still make an appearance? When I first saw this (Bunnies cattledog), I must admit feeling more disappointment over another lost icon, but then a thought did occur – this probably doesn’t affect the original Triton design, and so I live in hope that it will return to the Aussie market, still under the original brand. 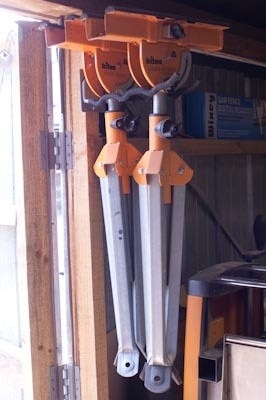 After all, when I had both, I consciously chose to part company with the Chinese SuperJaws in preference for my two Aussie ones (and the one Worx Pro/US Rockwell JawHorse). You have to ask however, how does Ryobi and Ozito manage to continue to survive, when GMC couldn’t, taking Triton down with it?